I bought the same product as before and exchanged it. There was no problem using the previous one 100,000km, but it seems that the fuel efficiency has improved for a while after the replacement, and we look forward to the future. This review is about item#9995745. 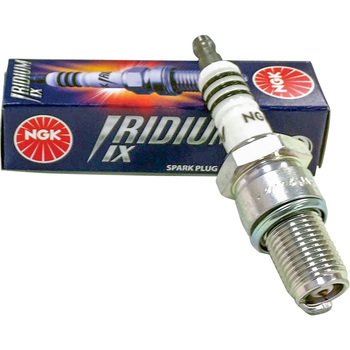 Although it was the first manufacturer's product iridium plug, it feels like the sense of stability at idling has increased. (Engine B20B) It is an old car. This review is about item#9995797. This review is about item#58117972. Since I traveled 95,000 km, I thought that I would exchange it. Before replacement, it started normally and acceleration was not bad, but after replacement, the startability improved and the pickup became so good that it was misunderstood that the power was increased. This review is about item#32125003. After replacing it, the engine can be blown smoothly. I would like to repeat it again. This review is about item#58117927. It took a lot of trouble until now, but it feels like it has been very smooth and the power has gone up. This review is about item#32124976. The plug was heavily soiled in the self-checking of the car and was replaced with a new one. As we used equivalent before, we do not change from usual. This review is about item#9991021. It is cheaper than buying at other companies, and has been able to specify without problems. I used IX before, but I chose MAX which is good durability this time. The usual slope also climbs lightly and fuel efficiency has also improved. I'm looking forward to how long this feeling will last. This review is about item#9990836.